Just came across this story of a passenger flying out of Toronto to the US who thought having this in his checked baggage would be okay. 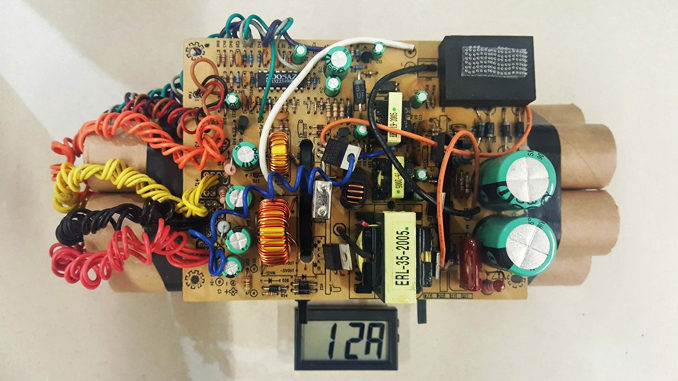 Apparently the device is an alarm clock designed to look like a bomb, complete with fake sticks of dynamite, and lots of twisty wiring (aesthetics are important). A quick glance would tell you that the circuitry is far too complicated to be just a simple device to make something go boom, but still, what was he thinking in this day and age when every tube of toothpaste is considered a mortal threat? The owner has been charged with mischief, because stupidity isn’t actually illegal - yet.